The factors predisposing to the development of Barrett’s esophagus in patients with gastroesophageal reflux disease are unclear. Assessing symptoms, esophageal acid and alkaline exposure (pH <2, <3, <4, and >7), lower esophageal sphincter resistance, esophageal clearance function, the gastric secretory state, gastric emptying, and duodenogastric reflux, we compared 15 patients with Barrett’s esophagus to 24 patients with esophagitis, and 22 normal subjects. Compared to patients with esophagitis, patients with Barrett’s esophagus had less heartburn and regurgitation, but an increased frequency and duration of reflux episodes, and increased percentage of time at pH <2, <3, <4 and pH >7 on ambulatory 24-hour esophageal pH monitoring. This was associated with decreased lower esophageal sphincter resistance, a decreased contraction amplitude in the distal esophagus, an increased frequency of nonperistaltic contractions and contractions <30 mmHg on 24-h ambulatory esophageal motility monitoring, increased basal and stimulated gastric acid secretion, and a higher prevalence of excessive duodenogastric reflux. These data show that despite having less symptoms, patients with Barrett’s esophagus have a markedly increased esophageal acid and alkaline exposure compared to patients with esophagitis. 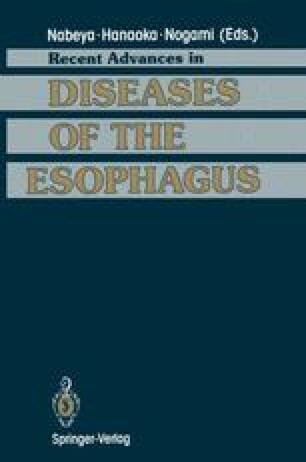 This appears to be due to persistent reflux of concentrated gastric acid and duodenal contents across a mechanically defective lower esophageal sphincter, in combination with inefficient esophageal clearance function.